Rubber Room Ramblings: SWALLOWTAIL BUTTERFLY! This is a card that Linda made to share at our last demonstrator group meeting. 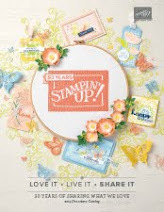 The Swallowtail stamp is a single stamp, and it is currently available in the Stampin' Up! 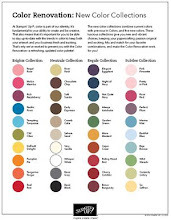 Spring Mini Catalog. As you can see, it makes a beautiful card! 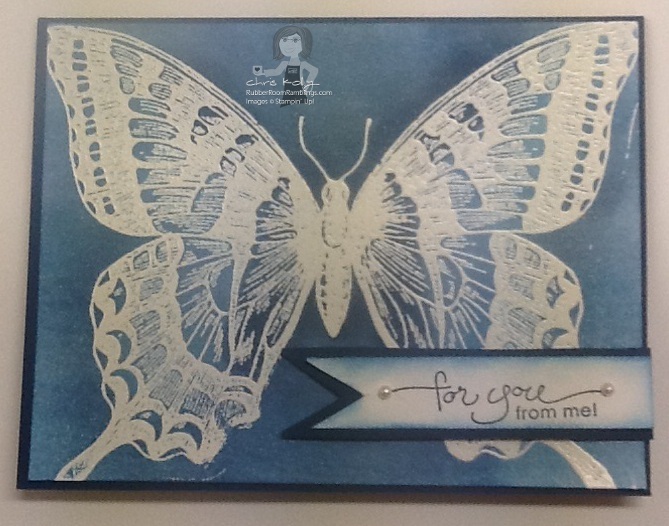 For this card Linda embossed the Swallowtail in white, and then we simply daubered/sponged color onto the card front and then wiped the excess ink off the butterfly (embossed areas). I think it has a rather stunning effect! ORDER YOUR SWALLOWTAIL STAMP HERE!